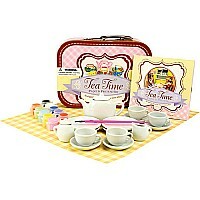 Anytime is tea time when young ladies get to create their own signature “pattern.” This sweet 17-pc. 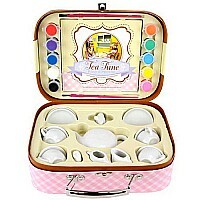 set, which serves tea and cookies for four, begins white, like a blank canvas. 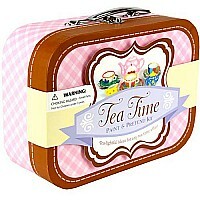 The fun comes when the 10 paints and the idea book are opened. 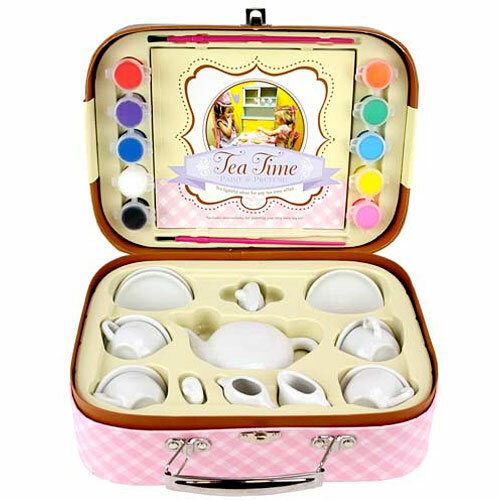 The result is a unique tea service, which neatly packs into the lunchbox carrying case. From SpiceBox Product Development Ltd, for ages 4-10 yrs. Brand: SpiceBox Product Development Ltd.